Gülsah Akgul, Ozlem Bıcıcı, Tekin Sahın, Vedat Baldaz, Ozgur Y. Celık, Ahmet Erdeger. Canine parvo virus (CPV) infection is highly contagious disease of dogs characterized by vomiting and diarrhea. 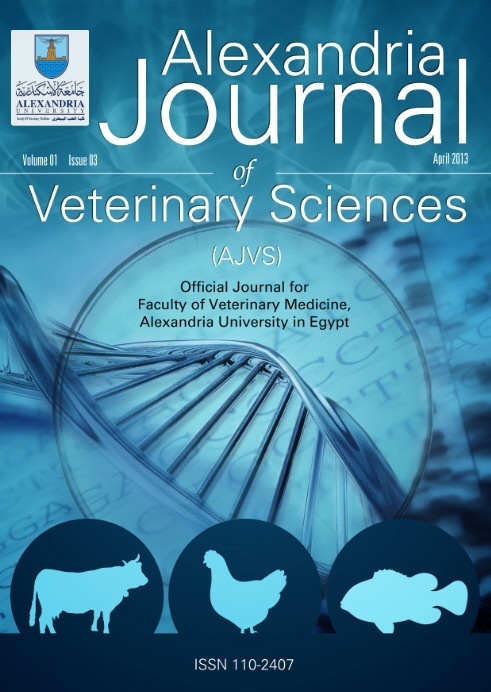 The present study was taken to record the prevalence of canine parvoviral enteritis in dogs in Siirt City, Turkey during April 2017 to June 2018. A total of 55 dogs with parvoviral enteritis were examined in Siirt University Animal Health Application and Research Center. The dogs were classified into groups according to their vaccination status, their ages, their breeds and their clinical history. The disease was diagnosed based on clinical history, clinical examination and CPV antigen kit test. The results of study clarified that the highest prevalence of canine parvoviral enteritis was recorded in the age group (4-8 weeks) ( 44%) followed by the age group (> 16 weeks) (25%) then the age groups (9-12 weeks) and (13-16 weeks)(16 and 15%, respectively).Based on the results of the clinical history, vomiting scored the highest rate (100%) between different symptoms and according to breeds, Cross breed scored the highest rate (%47.27). In conclusion, dogs of all ages and breeds are susceptible, but puppies are more likely to be infected. Further study should be conducted for better understanding the spread of disease and its management.